easilylead – miniatures, painting, gaming. It's mostly dwarves, mostly painted while drunk. Welcome. 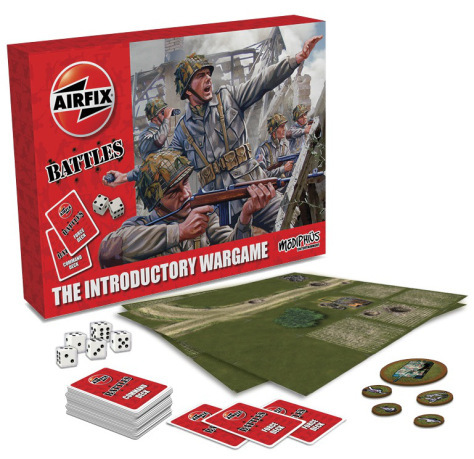 You may remember before Christmas that Modiphius Entertainment released news that they were working on a new set of wargaming rules in conjunction with Airfix. Well, the first introductory set is now available for pre-order. It’s priced at £24.99, and includes everything you need to start gaming, including unit counters, so you don’t even need models. If you pre-order, you will receive a PDF bonus campaign of Operation Cobra and the first, 24 card reinforcement deck. So…man goes into a branch of Games Workshop and asks for a pot of paint. Man buys pot of paint, costing in excess of four quid. But inflation isn’t the sign of age, oh no. Man remarks that GW are selling paint in large pots, like, err, you know, back in the day. Man is told that no, he’s mistaken, GW have never sold paint in these larger size pots. Man exits shop, thinking ‘bless’. There seems to be some hand wringing, brow furrowing and general loss of sleep over whether what some folks play can be considered Oldhammer or not. Really? If ‘oldhammer’ is defined by the spirit in which you play a game, what the hell does it matter? If you’re playing with figures that you love, be they metal, plastic or bloody paper counters…what does it matter? If you care greatly for the world/milleau that your version of nostalgia is set in (and all our nostalgia’s are different, its just that they all interlap like a Venn diagram – some bits are real to you and you alone) then just strap that setting to your chosen rule set. To fret over the fact that the 2nd or 3rd edition ruleset that the 15 year old version of you knew inside-out but that the 40+ version of you can’t be arsed with gets in the way of your enjoyment… Jettison it. 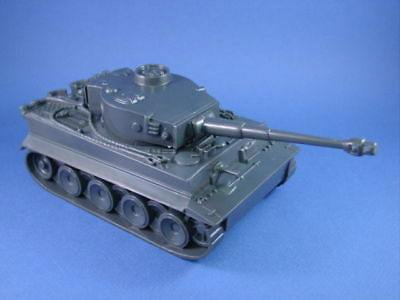 If your old school figures (eg. The late 80s dwarf gyrocopters, a jabberwocky, a zombie dragon…) don’t exist in your chosen rulset (eg Kings of War)…well just agree some stats with your fellow gentleman (or lady) gamers and just bloody get on with. Life is too frigging short to obsess over whether something is one thing or another. Just get a ruleset, agree what your chosen world/campaign setting is, agree some stats if you need to and then get some beloved lead and plastic on the table and have fun with friends. Because the rest of it just doesn’t matter. What? Kings Of War version 2 measures regiments, units and hordes by base size rather than number of figures. Realising that my dwarf artillery is neutered to a degree, my new tactic is to throw numbers at the problem. The five of you reading this may recall that I bought a hundred of the EM4 plastic remakes of old Grenadier dwarfs a while back and without trimming off the bases, 21 of the little fellas fit snugly on a base made for 80. Feels like cheating but it may be my best quick-paint way to stem the tide of cavalry coming at me. With speed in mind I also decided to drop the usual painting standard and I’m actually pretty pleased with the result considering that it involved just a black undercoat, metal dry brush, brown spears and boots and a grey drybrush for the beards. The whole lot were blue tacked to a big piece of cardboard and bulk painted while the kids watched a couple of Disney films. Result! Units painted in the last week? Squat, and I don’t mean in a stunty way. I managed to undercoat a horde of spear-dwarfs and take a couple of pictures…and that’s it. Real world stuff accomplished? Tons. Paid off two credit cards? Check. Set up an ISA? Uh huh. Got around to getting glasses that I knew that I needed for the last decade? Yup. Lost my temper with the kids several times a day? Full marks. Given the car its bi-annual wash? Oh yeah. So, with my theme in place ,here are the pics of the only painting that I managed in about three and a half months! Remember the garishly coloured plastic things that I picked up from the Poundshop? I present my stone golems for Kings o’ War. Dark grey basecoat, dark wash, light grey drybrush and done! And that, ladies and gents, is it. As for new year resolutions, I’m going with wearing glasses, drinking less and seeing what happens…wish me luck.